(and the following sections) He was influenced by related views of perception by earlier researchers such as von Helmholtz, Gombrich and others. I don't think it is possible to understand, model or replicate human visual capabilities without exploring a variety of different questions about the uses of vision, in humans, in other animals, in the evolutionary precursors, at different stages of individual development and in different possible sorts of artefacts that we may in future wish to build with visual capabilities. What follows is a partial high level subdivision of topics to be investigated regarding the functions of vision, in order to understand what sorts of mechanism might be required, or might suffice, in different contexts. This is both incomplete and very shallow: it is work in progress, at an early stage. 1. Examination of uses of vision in other animals. from much earlier forms of perception, e.g. because that survey may identify some intermediate biological uses of optical information that still play an essential role in human vision, but an unobvious role. (This emphasis on evolution of various kinds of biological information processing is the core of the Meta-Morphogenesis (M-M) project.) That's a huge task with intolerably sparse evidence, but I think there are ways of reducing the most obvious difficulties by careful research planning. 3. Investigating how uses of vision develop in individuals from infancy onwards. I think there are lots of very important things going on in pre-verbal infants, that most people don't notice (though Piaget noticed some of them) and which lay foundations for later developments. For example, I think metrical perception (absolute values for size, length, speed, distance, volume, curvature etc.) barely exists at first and instead many partial orderings (e.g. X is closer to or is getting closer to Y) are perceived and used, e.g. in visual servoing. Another class of cases concerns use of vision in distinguishing different materials and their properties (including distinguishing them by their behaviour rather than static appearance) and using knowledge about materials to explain differences in observed behaviour of manipulated objects and materials -- sand, water, treacle, oil, syrup, butter, mud, plasticine, clingfilm, cooking foil, paper, cardboard, various kinds of cloth, etc. etc. I think this includes many unnoticed pre-mathematical functions, on which later mathematical competences build (unless destroyed at school). (Jackie Chappell -- a biologist -- and I have published some papers on how the genome can play different roles at different stages of development with later roles being partly determined by what was learnt earlier. This can lead to questions about different uses of vision in different cultures or in different individuals with different developmental trajectories. Extreme cases are musical sight-readers, outstanding painters, architects, mathematical experts in geometry and topology, and of course programmers who are good at understanding textual programs -- including noticing bugs others don't see. I think that's partly related to abilities to see flaws in mechanical construction (That building won't last in a heavy snow storm.) Working out the developmental trajectories of various visual competences could provide important clues as to their nature. 4. Investigating uses of vision in dealing with other intelligent species. 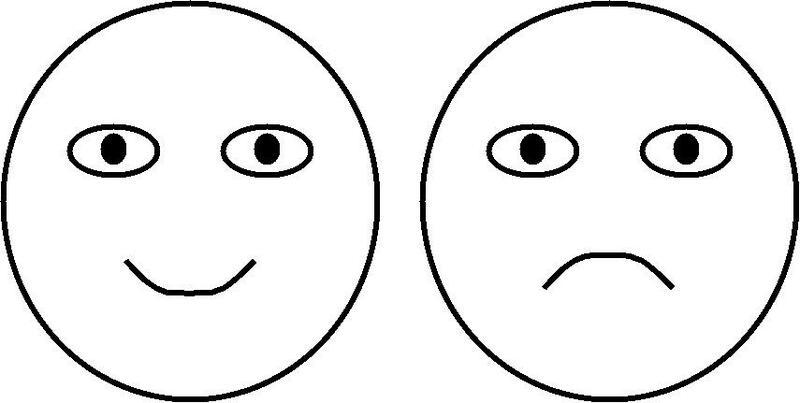 The work on emotion recognition could be an example, but tends to be very shallow and based on very shallow theories of human affective states and how they relate to visible behaviour. I think there are lots of much more subtle ways in which vision is used to gain information about intelligent individuals (not just humans) e.g. what they are looking at, how they feel about what they are looking at (bored, interested, surprised, dismayed...) and what they are likely to do as a result, whether they understand something, whether they are trying to deceive, whether they are confident about what they are doing, whether they are doing it carefully or not, and many more. Often perception of information processing in another individual is part of a sophisticated interaction, e.g. a teacher trying to understand how to help a pupil who hasn't understood something, flirting, dancing, collaborating on a complex task, and many more. The visual cues in most of these cases are extended over time and can include not just eyes and face, but body parts and their relations to other things, e.g. picking up an unfamiliar object nervously, etc. 5. Investigating Cultural evolution of visual functions. This includes a whole lot of different things -- including the uses of vision in human sign language, which can involve perception very complex parallel movements of many body parts. It's much richer than either speech or text. It includes changes of visual functions of domesticated animals. e.g. a bi-stable spring-driven car boot (trunk) lid. This is what got me from mathematics into philosophy, and then from philosophy into AI. The research problems are very difficult, and progress is slow. enjoying a view, admiring a face, a dance, a building, a tree, a painting, etc. Including finding a potential mate attractive, being sexually stimulated, etc. There is much more to be added. It would be useful to develop an outline (possibly evolution-inspired) framework for collecting different functions of vision into a web site that will include information from many disciplines, and can go on growing or being modified. A lot of help will be needed to grow it and develop the structure. I don't know how many researchers would be interested enough to contribute, instead of simply continuing on their existing focus. functional roles for vision in a larger architecture, etc. This would build on and feed back into the map of uses/functions of vision. But it's important that producing maps of functions and maps of mechanisms are two different tasks, since in general different mechanisms can serve any specific function. Most researchers seem to focus only on mechanisms, making unacknowledged assumptions about the functions, often different assumptions in different research teams. Uses of vision in mathematical reasoning of a non-visual kind, e.g. seeing and understanding algebraic, logical, computational formulae. Uses of vision in mathematical reasoning where mathematicians annotate a step in a proof: "By inspection". E.g. where a diagrammatic notation for exploring cases has been discovered. This discussion of the exploration of "Toddler theorems" (and perhaps pre-toddler theorems) includes examples where vision plays a central role. not yet developed the ability to see? SLAM: Simultaneous Localisation and Mapping -- a machine explores an unfamiliar building, or some other novel terrain at the same time as constructing a usable store of information about the layout, possibly including a topological or metrical map. The terrain may be 1-dimensional, such as a long corridor, 2-dimensional, a town, a layer of a building, or 3-dimensional, e.g. a multi-storey building or non-flat terrain. The senses used may include vision, some sort of range finder (laser or sonic), odometers, gyroscope, compass, etc. One of the hard problems is dealing with errors, or lack of precision in the sensor values. Errors can accumulate drastically, and several techniques have been developed for minimising the impact. I have been thinking and writing about functions of vision including unobvious functions for several decades. I am collecting the papers I can find here, to help with a future attempt to integrate the ideas. Perception As A Computational Process, Chapter 9 of The Computer Revolution In Philosophy: Philosophy, science and models of mind Harvester Press 1978. Why do people interpret sketches, cartoons, etc. so easily? A theory is outlined which accounts for the relation between ordinary visual perception and picture interpretation. Animals and versatile robots need fast, generally reliable and "gracefully degrading" visual systems. This can be achieved by a highly - parallel organisation, in which different domains of structure are processed concurrently, and decisions made on the basis of incomplete analysis. Attendant risks are diminished in a "cognitively friendly world" (CFW). Since high Levels of such a system process inherently impoverished and abstract representations, it is ideally suited to the interpretation of pictures. This paper contrasts the standard (in AI) "modular" theory of the nature of vision with a more general theory of vision as involving multiple functions and multiple relationships with other sub-systems of an intelligent system. The modular theory (e.g. as expounded by Marr) treats vision as entirely, and permanently, concerned with the production of a limited range of descriptions of visible surfaces, for a central database; while the "labyrinthine" design allows any output that a visual system can be trained to associate reliably with features of an optic array and allows forms of learning that set up new communication channels. The labyrinthine theory turns out to have much in common with J.J.Gibson's theory of affordances, while not eschewing information processing as he did. It also seems to fit better than the modular theory with neurophysiological evidence of rich interconnectivity within and between sub-systems in the brain. Some of the trade-offs between different designs are discussed in order to provide a unifying framework for future empirical investigations and engineering design studies. However, the paper is more about requirements than detailed designs. Of course, we need to get both right -- but with the wrong architecture, and the wrong decomposition into sub-functions, we are likely to seek entirely inappropriate mechanisms and algorithms. What's vision for, and how does it work?